There are a lot of things that can cause someone to change their attitude about life, and extreme bodily harm is definitely a big one. 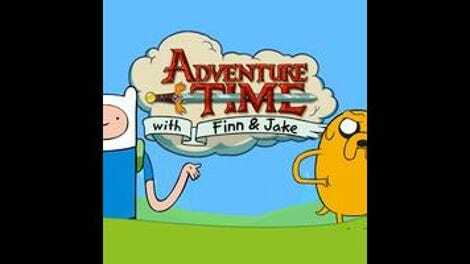 Finn and Jake learn all about that on a mission for Princess Bubblegum searching for the Great Bird Man, a half-man, half-bird beast that allegedly poops fire when it flies. (PB is busy underwater examining the behavior of a group of lonely mermaids.) Their journey across the desert ends up completely draining the two, and when they pass out on the sand, they’re saved by the very creature they’re seeking. It turns out that the Great Bird Man is actually the former Goblin King Xergiok, who has undergone some major changes since meeting Finn and Jake. He’s become the nest father for a society of birds, offering his teats to the hatchlings and using his power to manipulate space to take on the birds’ injuries when they’re hurt. Xergiok is like the popular jock in school that gets injured and is forced to spend his gym time with all the people that don’t participate in athletics. Maybe the jock makes friends with those other kids and gets the chance to look at the world from a different perspective, but it only lasts for as long as the injury is around. Once he’s healed, he’s back to his old friends and his old habits. Xergiok is only kind and giving for as long as he’s damaged, which causes problems when Finn and Jake think he’s changed and tell him about his dangling eyeballs. This is one of those Adventure Time episode that starts in a relatively calm place and gets increasingly hectic as it continues, building to full-on insanity in the last few minutes. After seeing how good Xergiok has become, Finn tells him about his eyeballs, and they take to the skies so that the goblin can look at the sun when he pops his eyes back. Once his vision is restored, Xergiok begins to sing as the episode takes a turn for the psychedelic. His confusion allows the animators to throw in a lot of trippy visual effects, and by the end of the sequence, the viewer is assaulted by the image of Xergiok praising the return of his power. As he looks down at the landscape beneath him, he’s overcome by the desire to start smacking goblin booty, flying his bird army to the Goblin Kingdom so that he can reclaim the throne. Xergiok’s need to smack is ultimately what brings about his downfall, and when he smacks Cardamom’s nose, the bird flies off along with all its feathered friends. The difference between Xergiok and that aforementioned hypothetical jock is that Xergiok may be healed, but his old friends don’t want him back. He’s not welcome in the Goblin Kingdom, and when Cardamom and the rest of the birds abandon him, Xergiok realizes that he was better off when he was blind. He couldn’t see, but at least he had friends, so he pulls his eyes out again and gives them to Finn to be buried forever. He then walks into a large body of water, presumably to kill himself, but instead finds a new companion in one of those mermaids PB was looking at earlier. Don’t you love it when everything comes around full circle? This week in fun Adventure Time style: Finn adjusts his hat for the blazing conditions so that it’s not wrapped around his face, and PB rocks an underwater scuba suit for her mermaid mission. 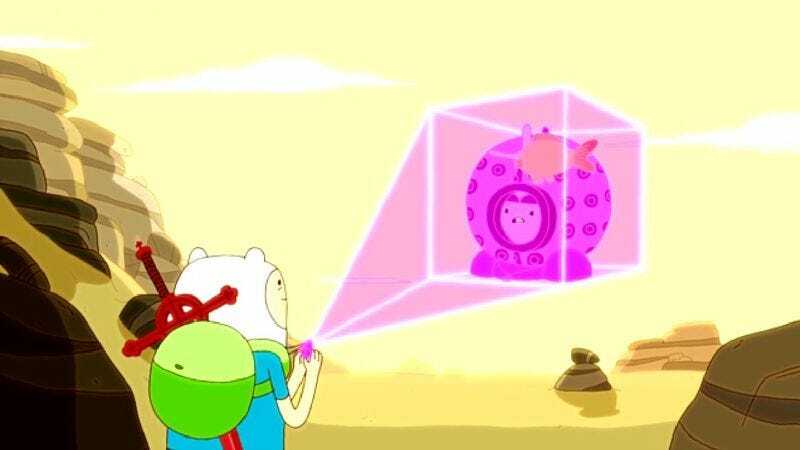 How soon before we get Desert-Weary Finn and Underwater Prubs action figures? All of Xergiok’s birds are named after sweeteners because he’s craaaazy. My favorites are Stevia and Nougat.